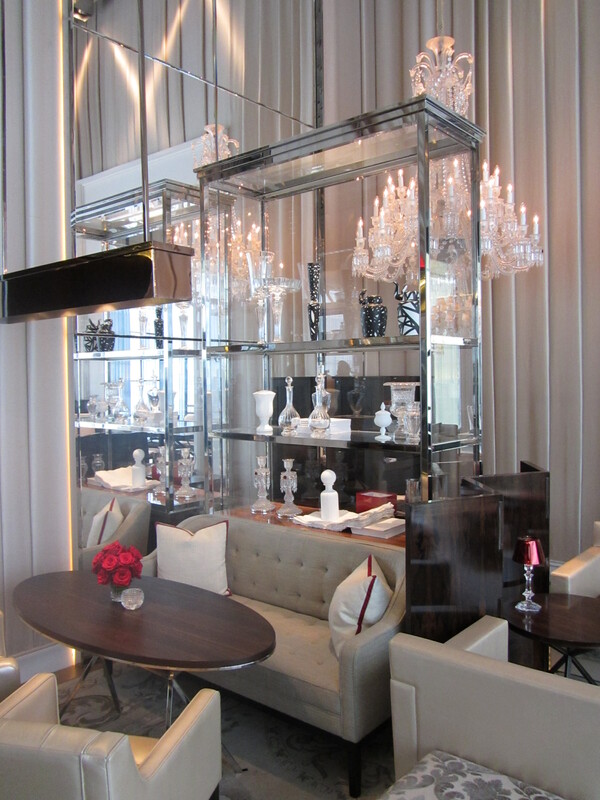 The world’s first Baccarat hotel! 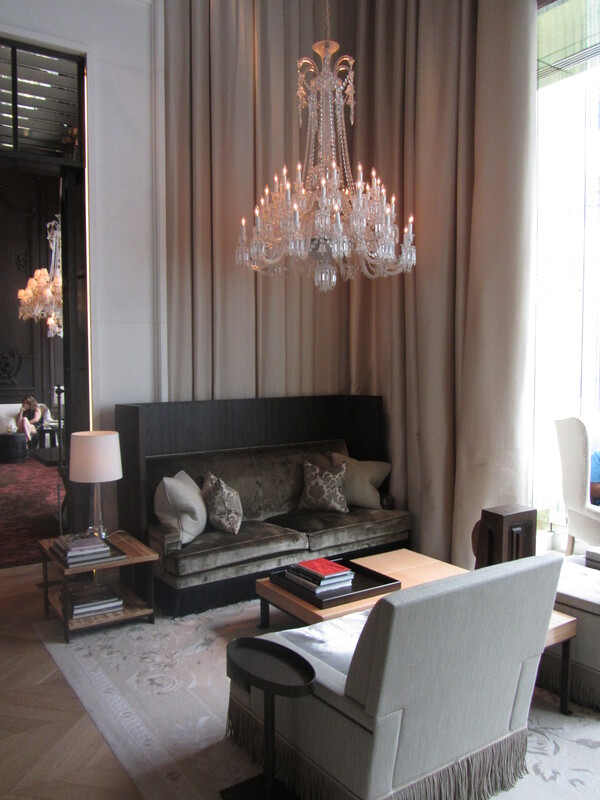 We all know Baccarat from their fine crystal glassware, but they recently opened the very exclusive hotel in New York, right in the middle of Manhattan. It truly is in a great location and you can walk to most tourist spots without taking transportation. 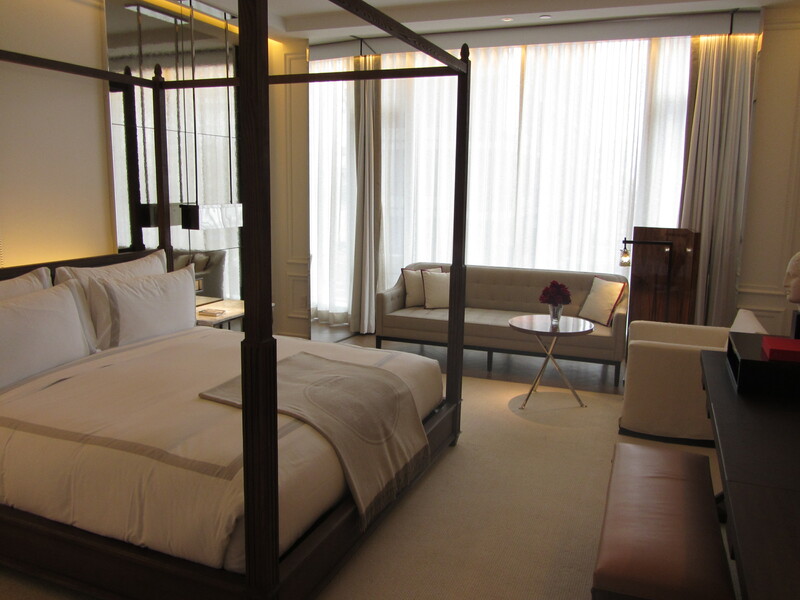 I got the chance to experience this ultra luxurious hotel and was blown away! Baccarat is known for their perfection. This hotel met all my expectations for a higher end property! Rates here start at around $ 1,000 a night so I didn’t really meet any back packers here. 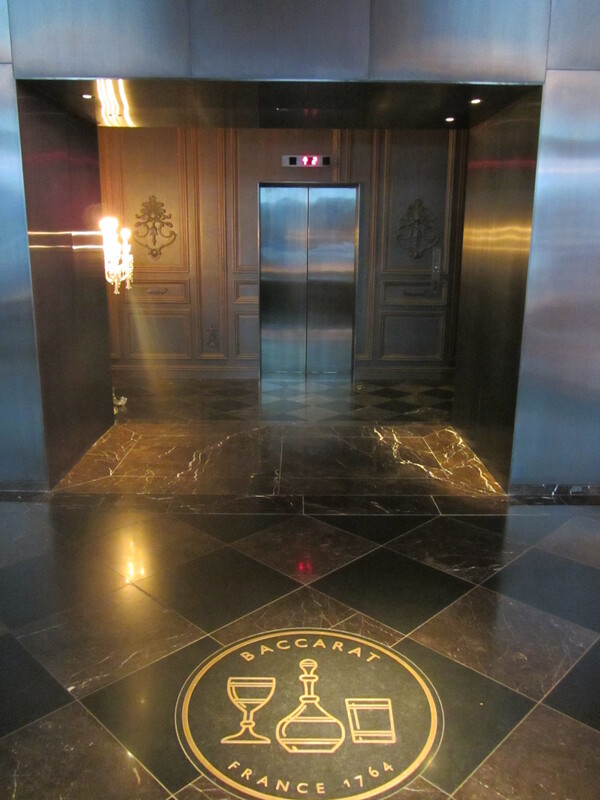 There is no sightseeing at the Baccarat NYC, when you enter the hotel, you first have to take an elevator to reach the lobby. 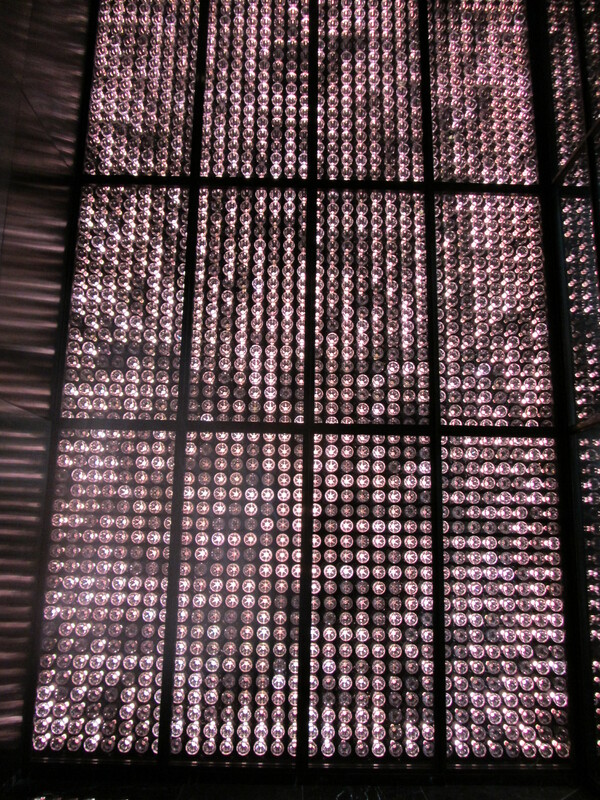 The first thing you notice when you enter, is the spectacular wall lined with 1,800 crystal glasses. 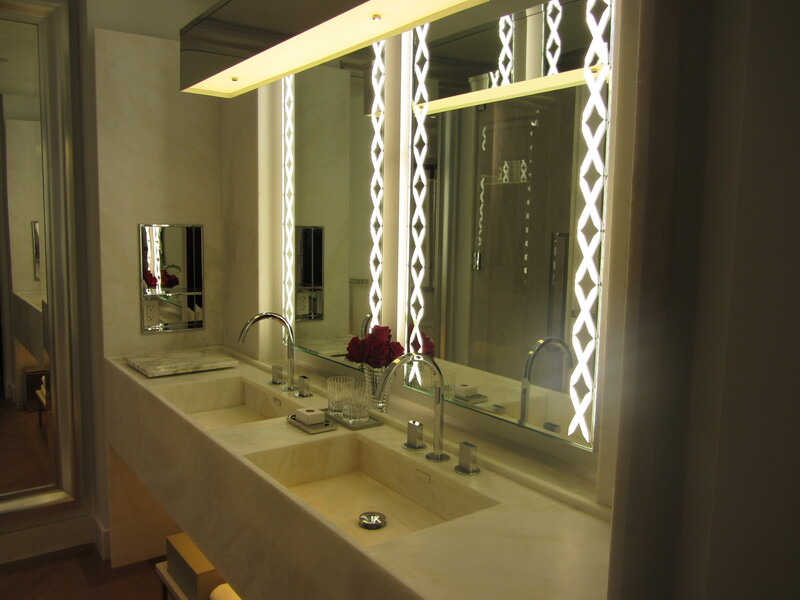 Each place of this hotel was created using the best materials and smart design which makes you want to linger. Actually, all public places here are unique. We were first escorted to the Grand Salon. 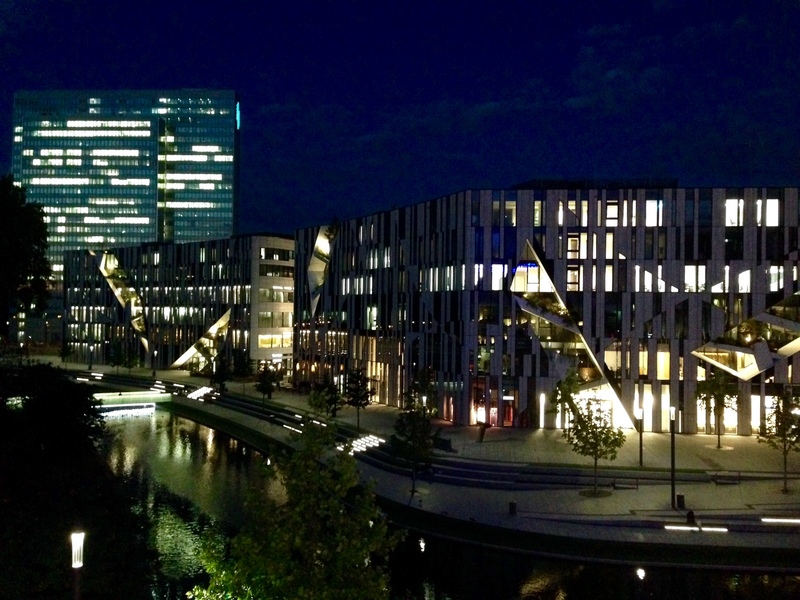 Crystals everywhere… Over the top? Not really, it is done in style… We had some cocktails and light bites here later that day and absolutely loved them. 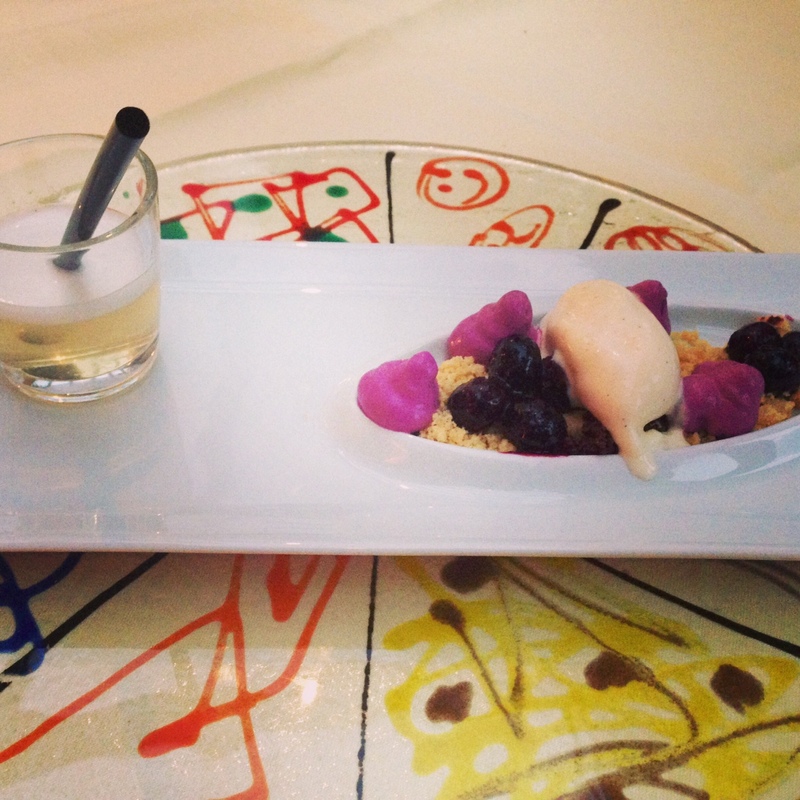 The small desserts were delicious! 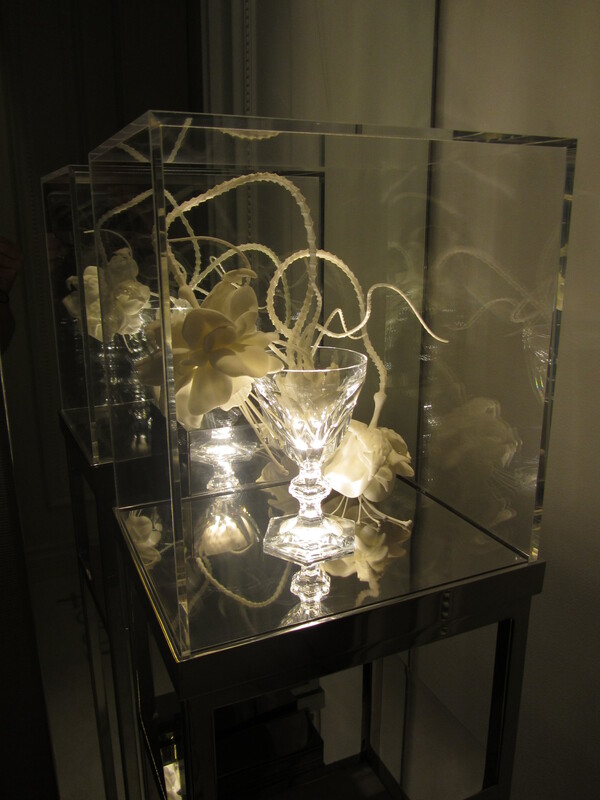 Each room of the Baccarat NYC has a different glass outside, enclosed in a display case. They are all ultra-luxuriously appointed with super comfy plush king sized bed, lounge area with the most comfortable couch, desk and the most up to date amenities. 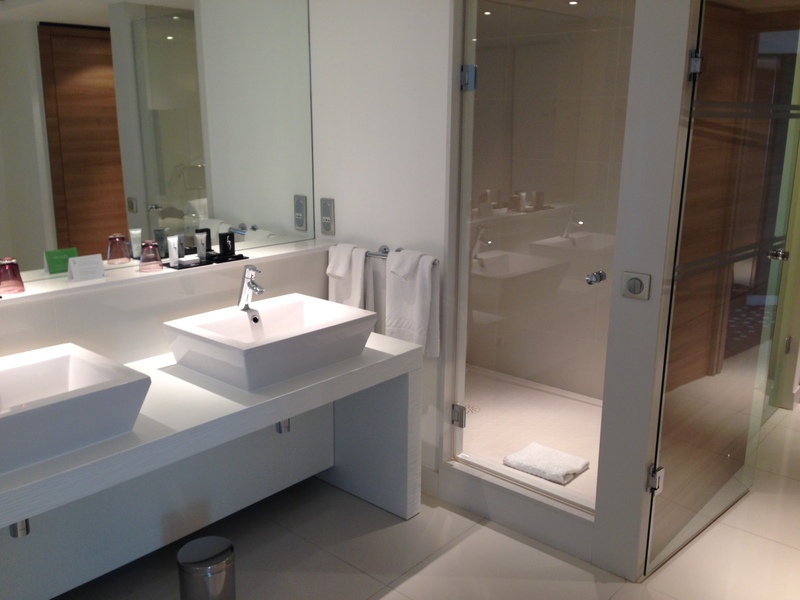 The oversized bathrooms have separate (rain) showers and tubs. 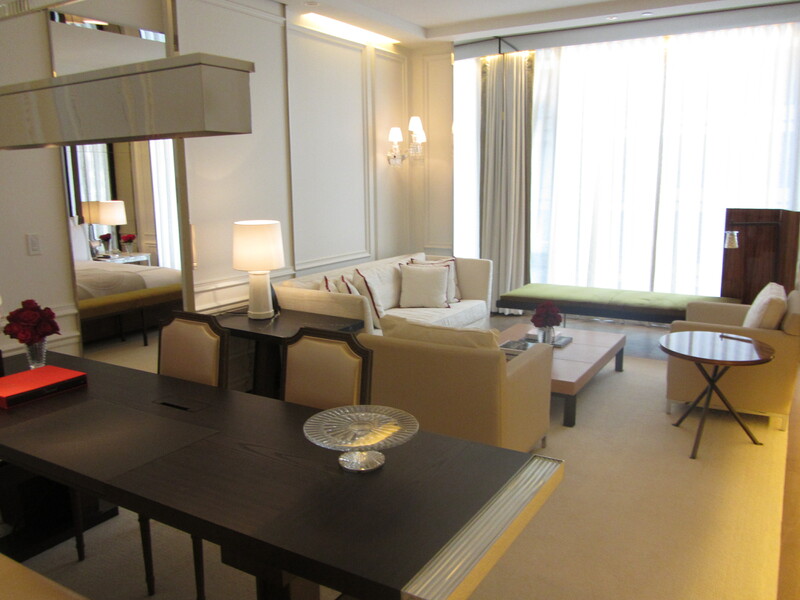 The décor of the rooms is amazing with shimmering Baccarat crystal accents everywhere. 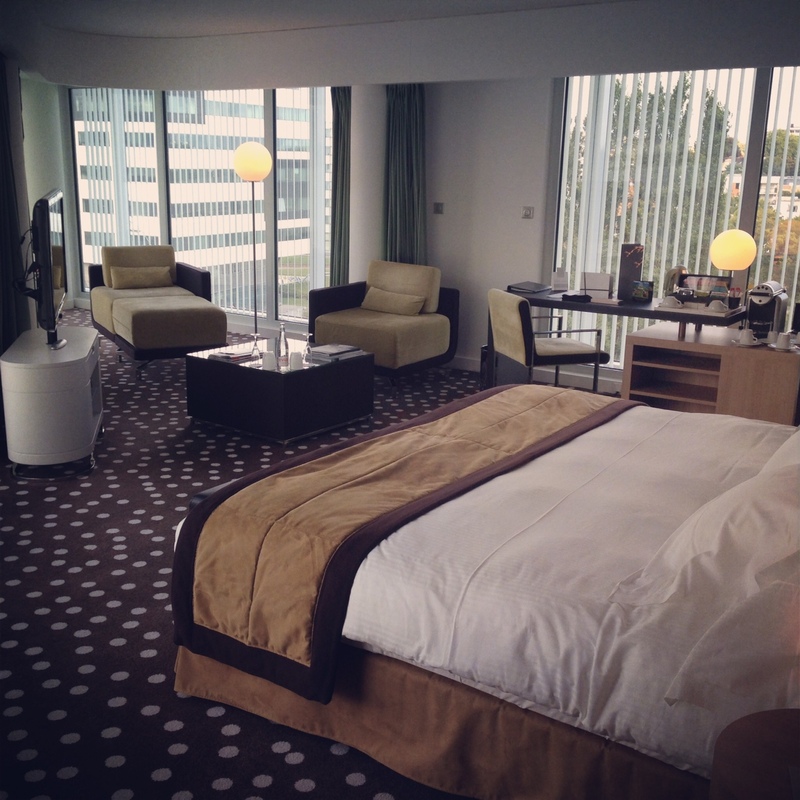 The rooms are one of the nicest I have ever seen and definitely worth five stars! 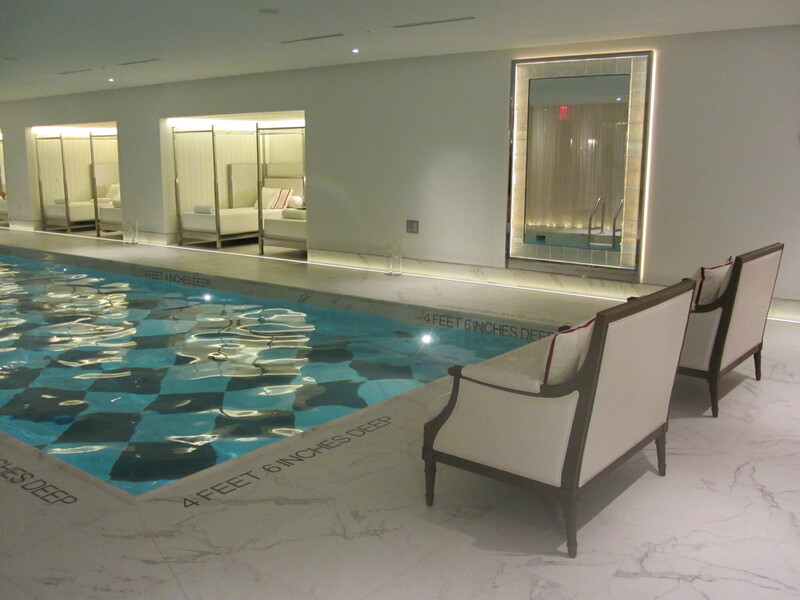 A full spa area with indoor swimming pool and fitness center is available and located on the lower floors of the hotel. The place was immaculately clean. The fitness center has great equipment and since this is not a large hotel (‘only’ 114 guestrooms), the fitness area and swimming pool had a great size! 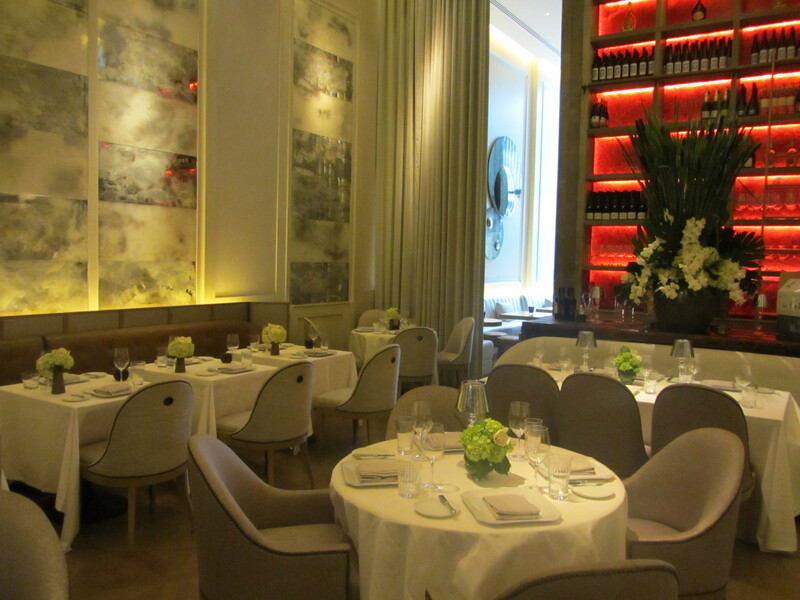 The restaurant at the Baccarat offers fine cuisine in a very exclusive setting! 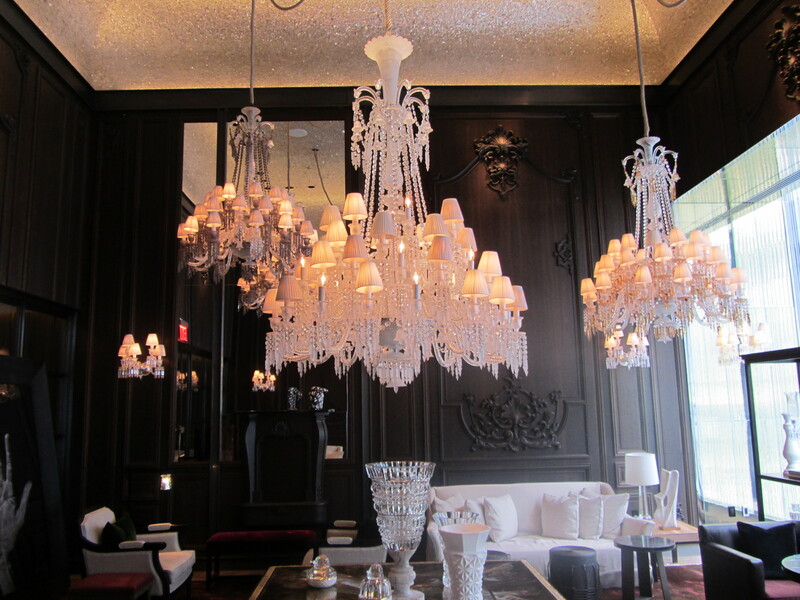 The Baccarat NYC definitely is one of the best hotel in New York and highly recommended when you’re looking for an exclusive New York getaway! 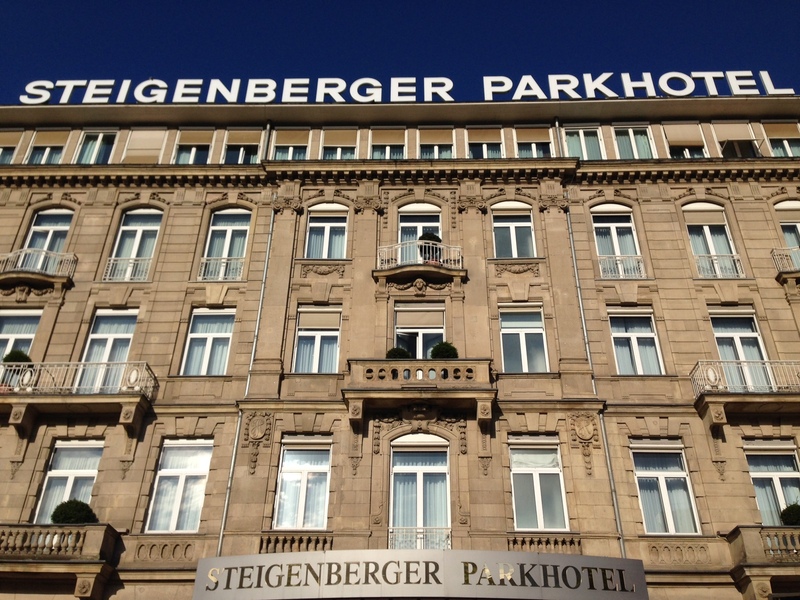 I was pretty excited to visit one of the best hotels in Düsseldorf, the Steigenberger Parkhotel and I expected much. Honestly, I was blown away by this property. 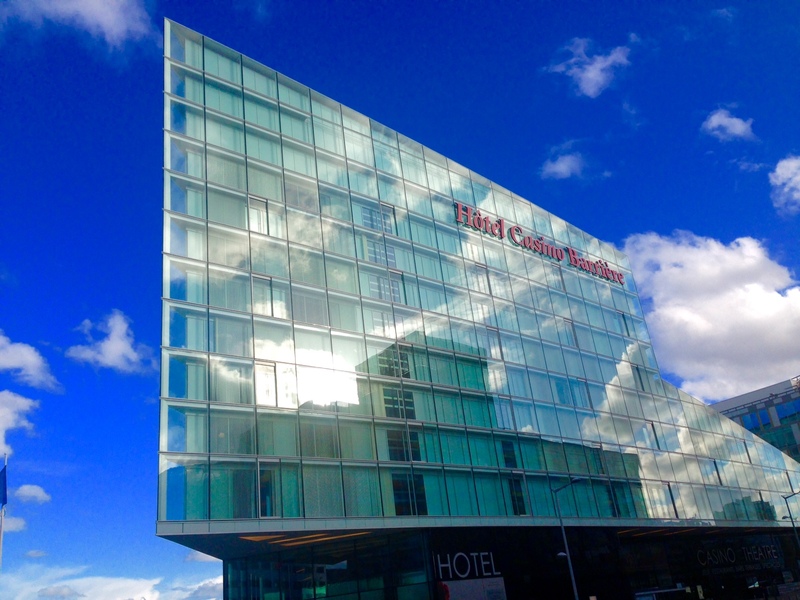 It truly has this “grand” feeling and the staff couldn’t have been more accommodating! The building itself is beautiful. They kept some authentic elements and added some more modern touches, this results in a perfect combination of both old and new. The reception area is large and classy. Check-in went smoothly and the staff was exceptionally friendly. Although this is a large hotel, they treat you in a very personal way. 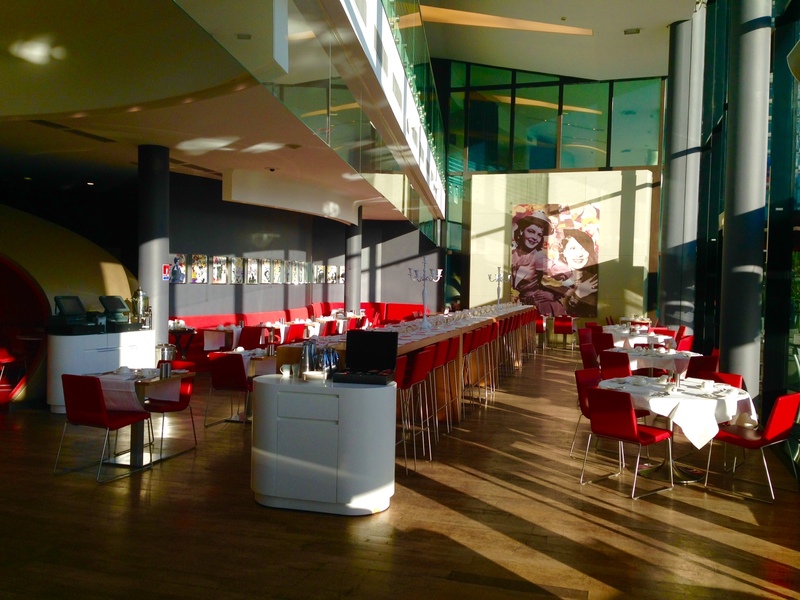 The bar next to the reception area is gorgeous! 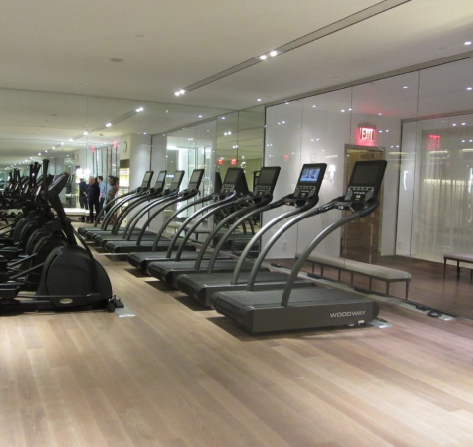 A full fitness center and wellness area are available for guests at no additional charge. During the time I was there, they were renovating the place so I was unable to visit. 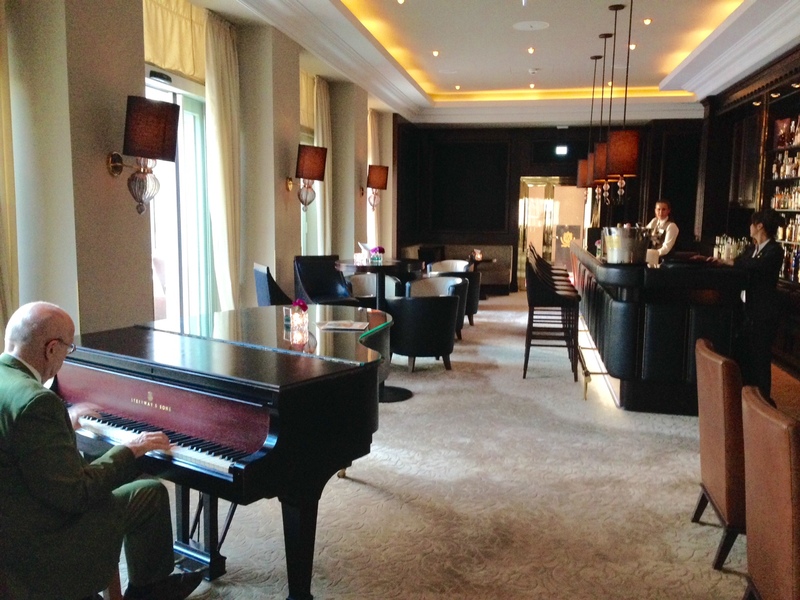 After dinner we had a coffee at the bar with live piano music. It was the perfect way to end a wonderful day at this grand hotel! When we were back in our fancy room, the room had been made up. 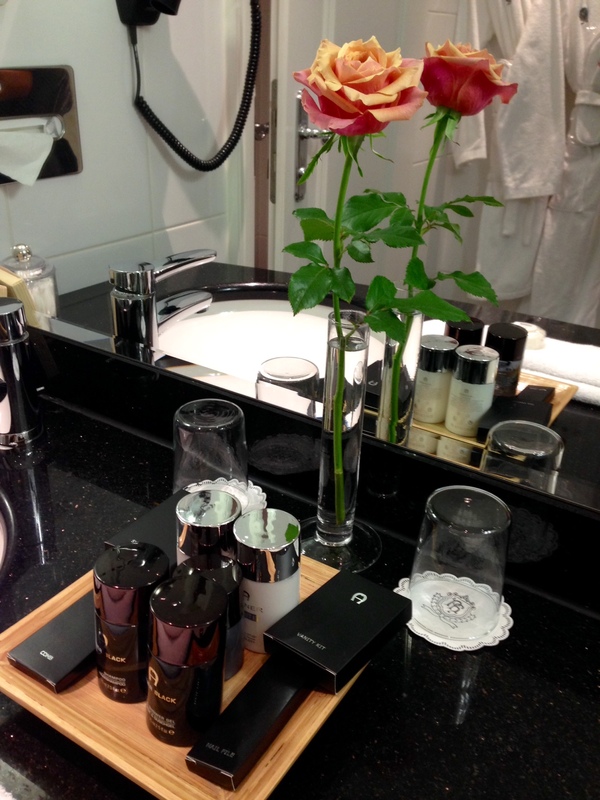 Turn down service is available and will make sure you have everything you need for a perfect night. Again, the beds are of a good quality and we didn’t hear a thing from outside… The view we had, by the way, was really nice! 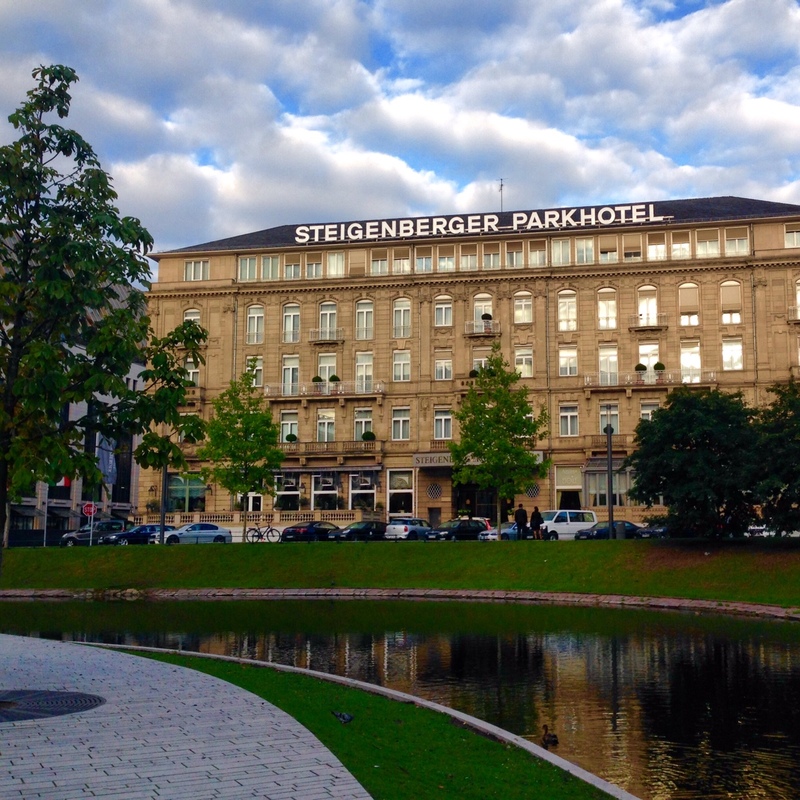 The Steigenberger Parkhotel Düsseldorf is a top class five star hotel, one of my favorites… Would definitely stay here again on one of my next trips to this beautiful city and recommend you to do the same! 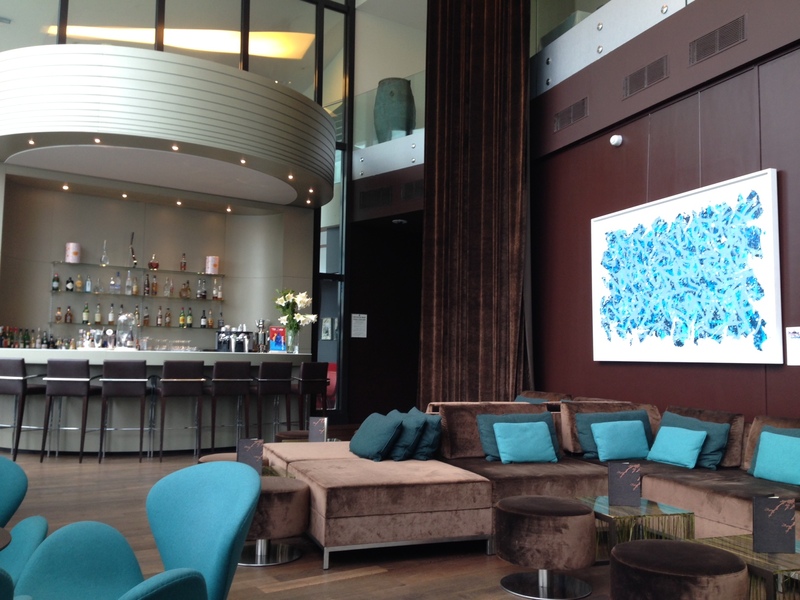 The five star hotel Barrière in Lille is one of the best hotels Lille has to offer! 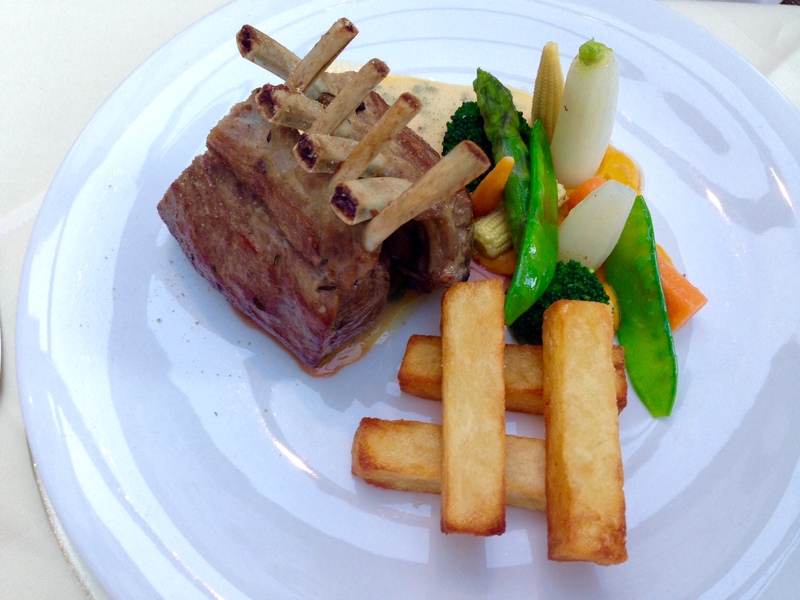 It is very conveniently located near the gare de Lille-Europe. 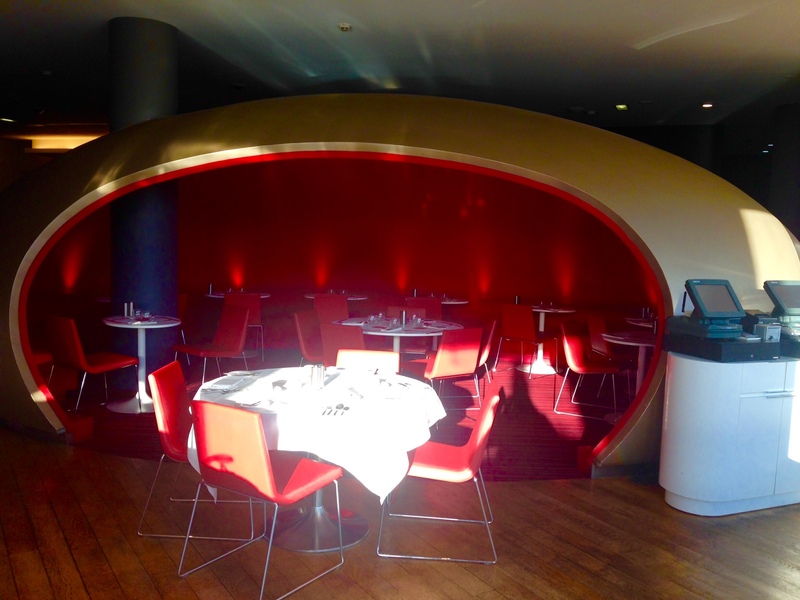 The center of Lille is nearby and easily reachable with public transportation! The Barrière hotel Lille has an onsite casino. There are separate entrances to either the hotel and casino so you don’t have to walk through the casino to enter the hotel. 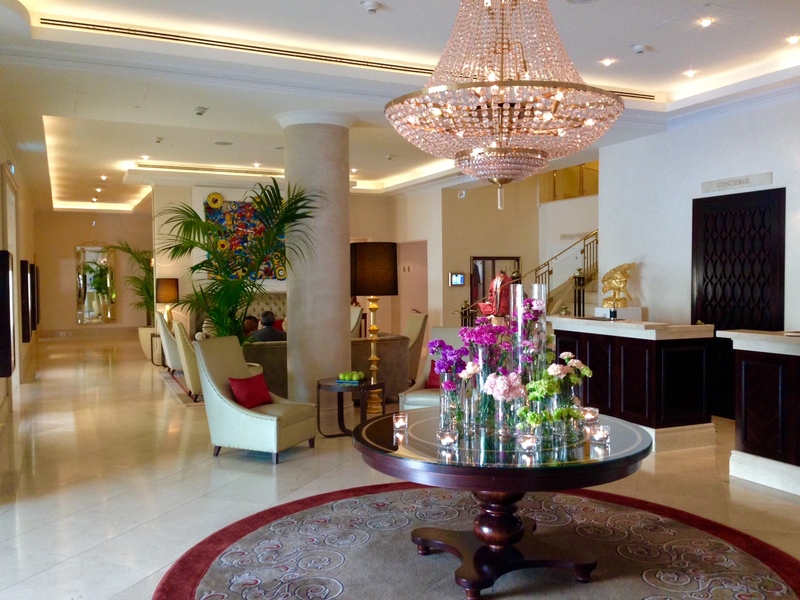 Check-in went smoothly and the reception staff was accommodating. Always nice to see happy facing people behind the reception desk! Even though there are 150 rooms in this hotel, it never felt crowded and there was a serene atmosphere throughout the hotel which I liked. My room wasn’t ready at the time I checked in so I had a drink in the lobby bar. Nice bar by the way… and lovely drinks! 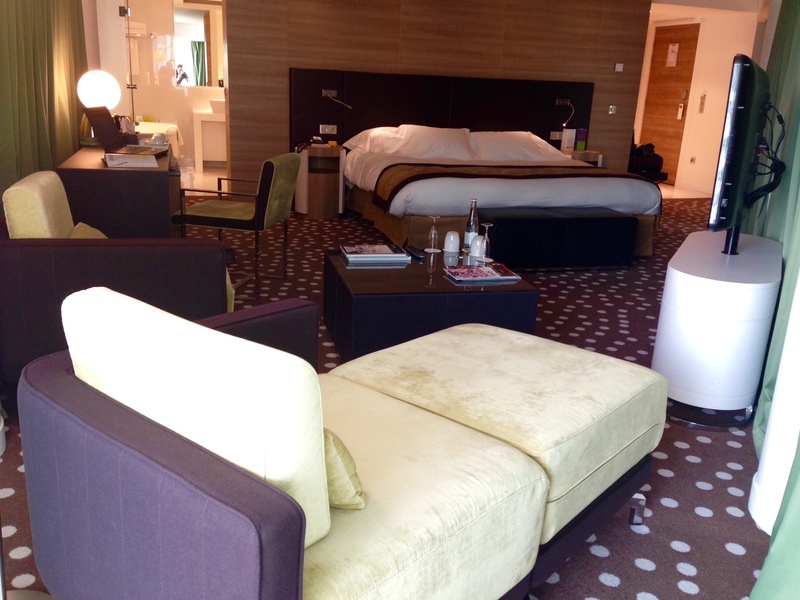 And then my room was ready… Oops, suite! 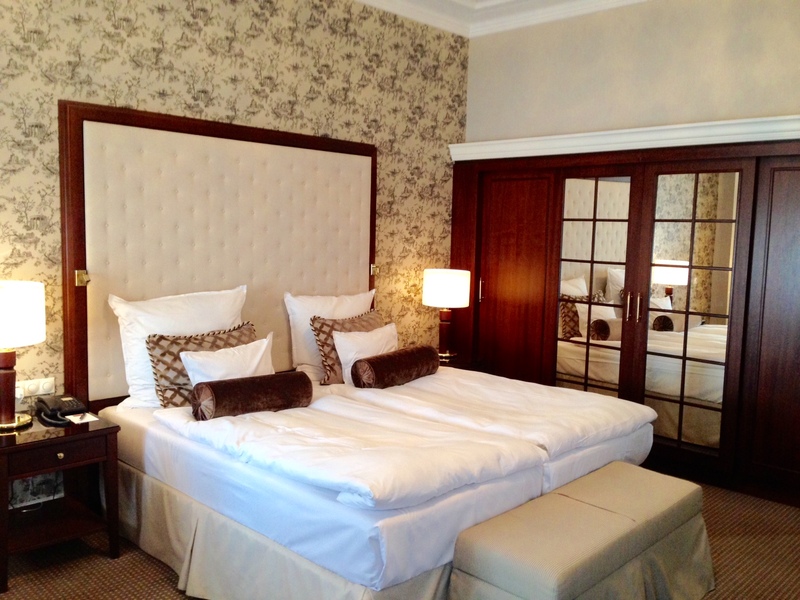 At 60m² the junior suite I stayed in was absolutely spacious and immaculately clean. The king sized bed was enormous… and so was the bathroom: an oversized bath tub, double sinks and a separate (rain)shower where 4 people would easily fit in! 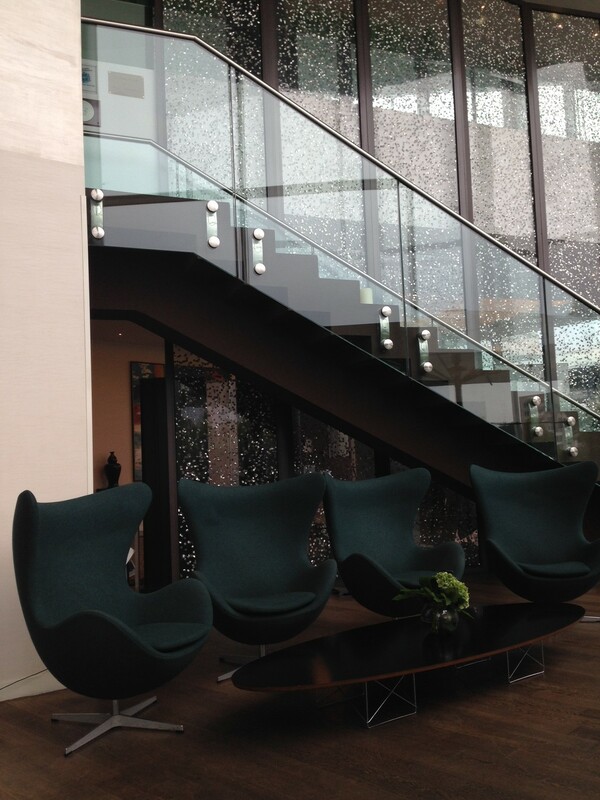 I also liked the panoramic views and the small sitting area. It was nice to relax there later that night with a glass of wine. 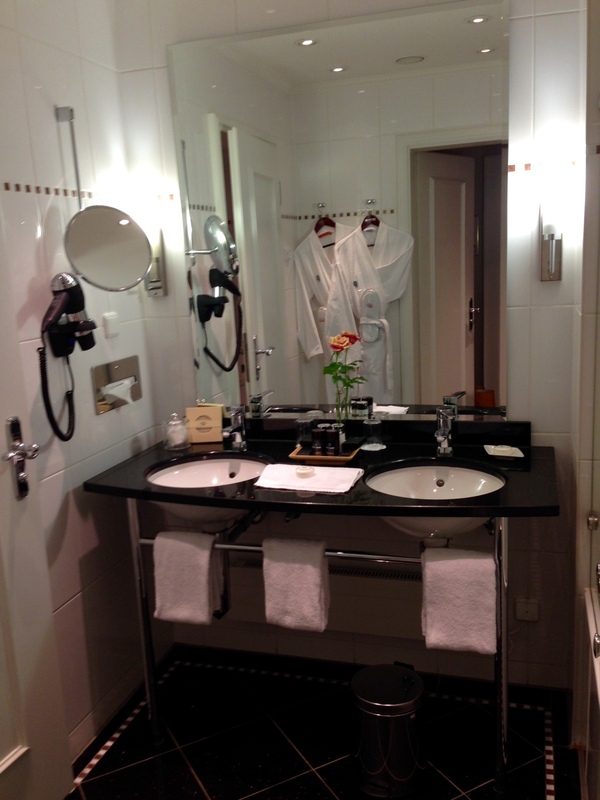 The room had everything I would expect from a five star hotel: a Nespresso coffee machine, bath robes, premium toiletries and another bonus: plenty of plush towels, I loved them! The Barrière hotel Lille has a small spa area with fitness center. I did work out (of course!) 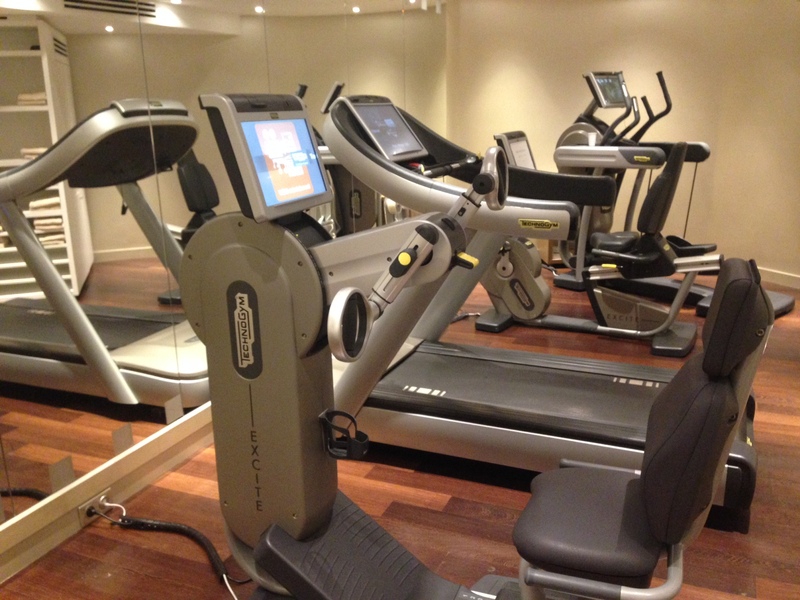 and the fitness equipment was excellent and up to date! 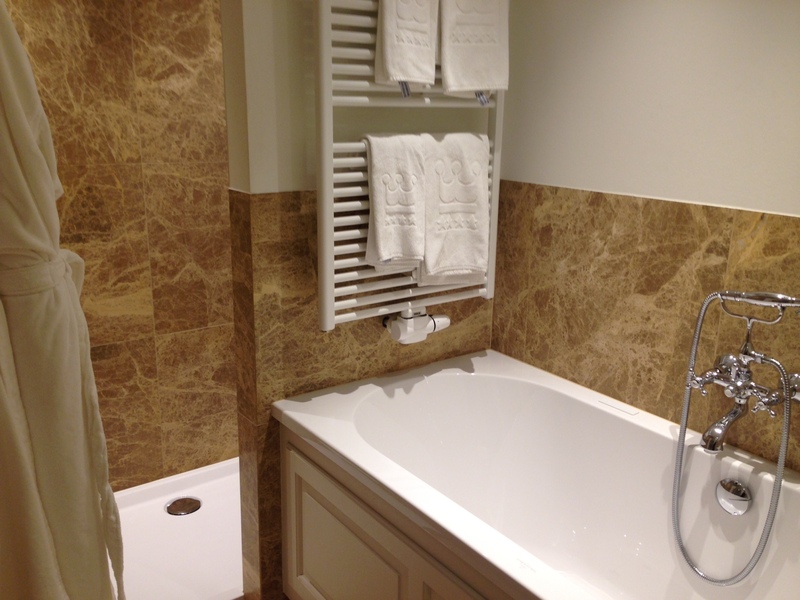 Residents of the hotel can relax in the sauna and/or steam room at no additional charge. 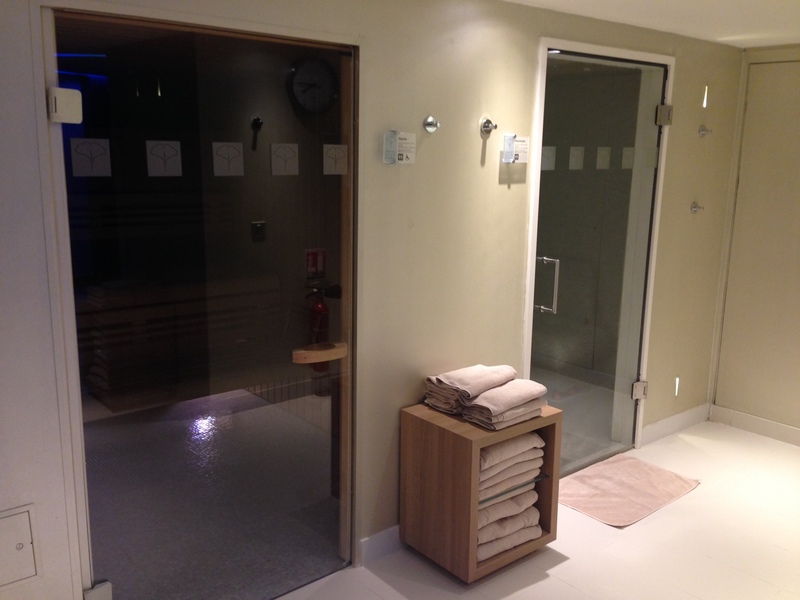 And when you are done with your workout or sauna experience, you can chill out in the relax area. 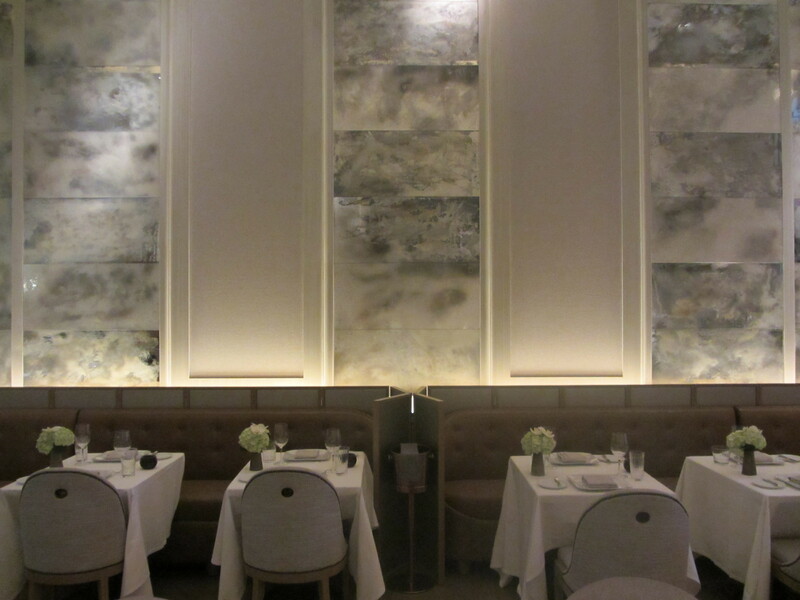 I appreciated the soft lounge music throughout the place. Very relaxing! 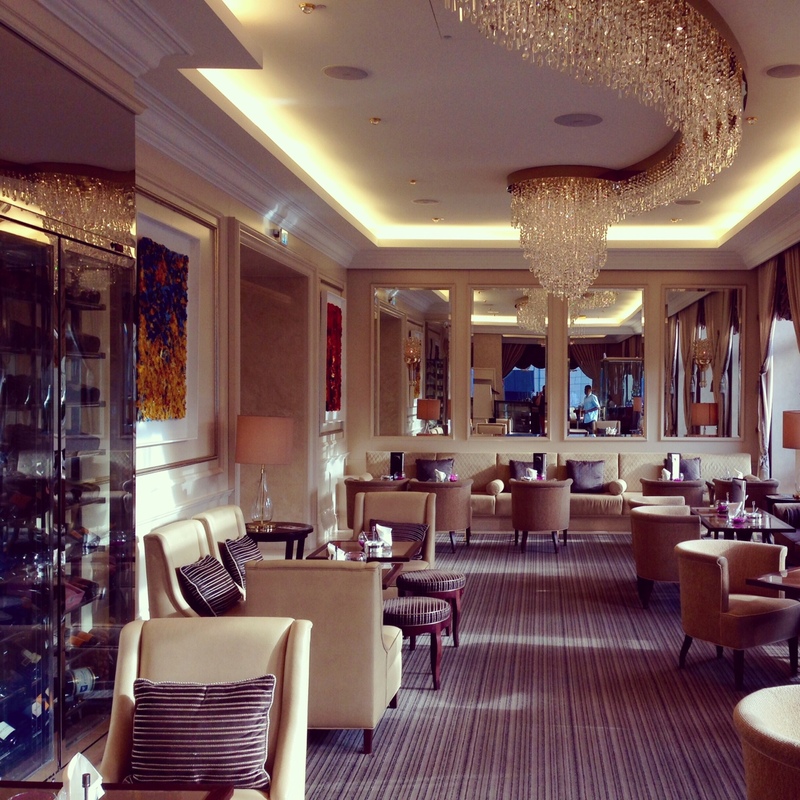 Without a doubt, the Barrière hotel is one of the best five star hotels in the area. 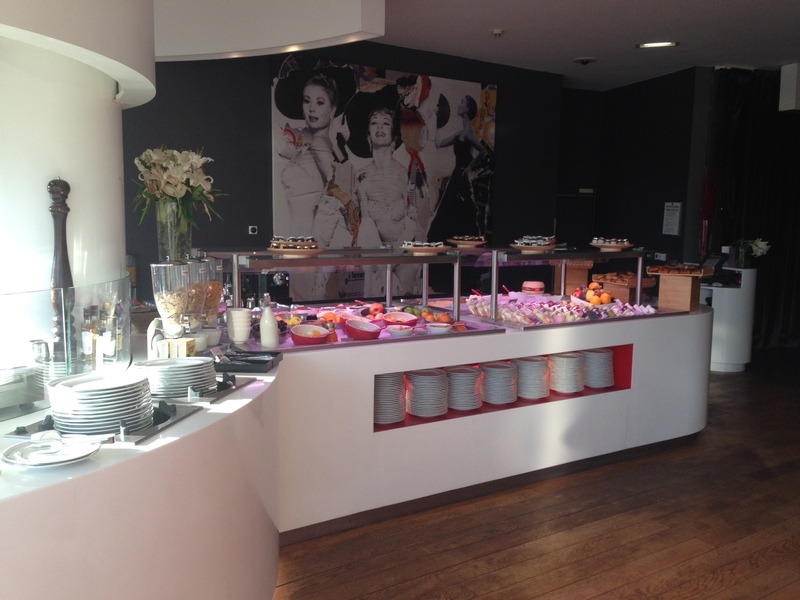 From the friendly staff to the beautifully decorated rooms, the Barrière hotel Lille has it all! Highly recommended! I can’t imagine a better location! 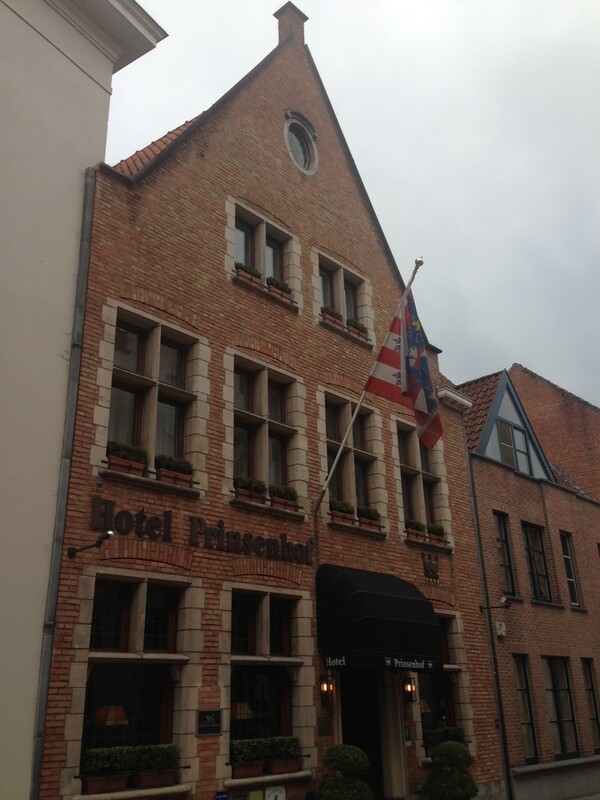 Quiet and peaceful but just a few steps away from the most important sights of Bruges! 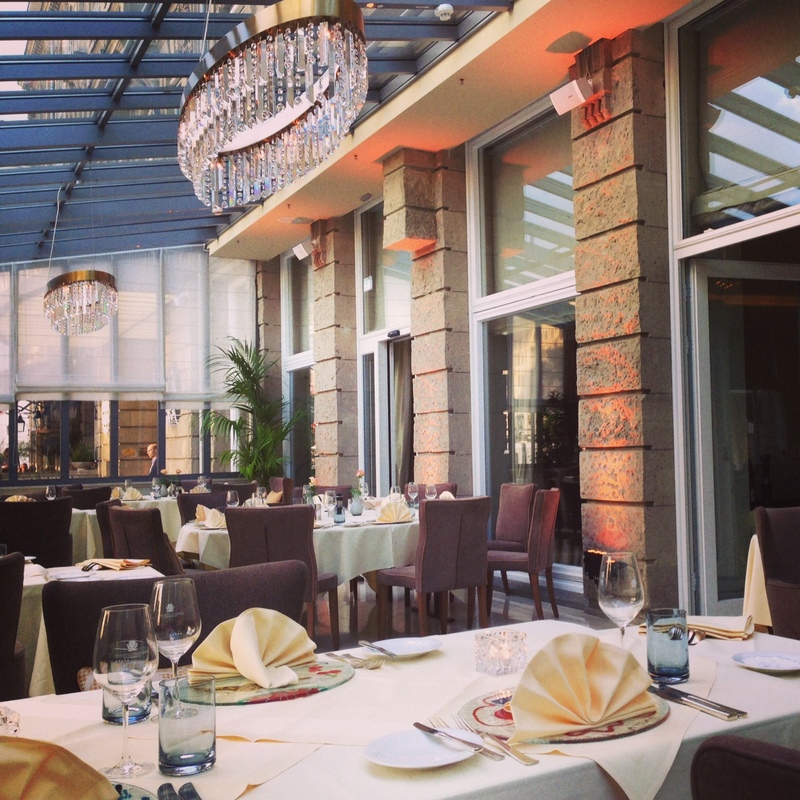 The top notch service starts as soon as you approach the Prinsenhof. No need to park your car yourself, just hand the keys to the reception staff and they will take care of your car. Check-in was very efficient and professional! They gave us all the information we needed to know about the hotel and surrounding areas. 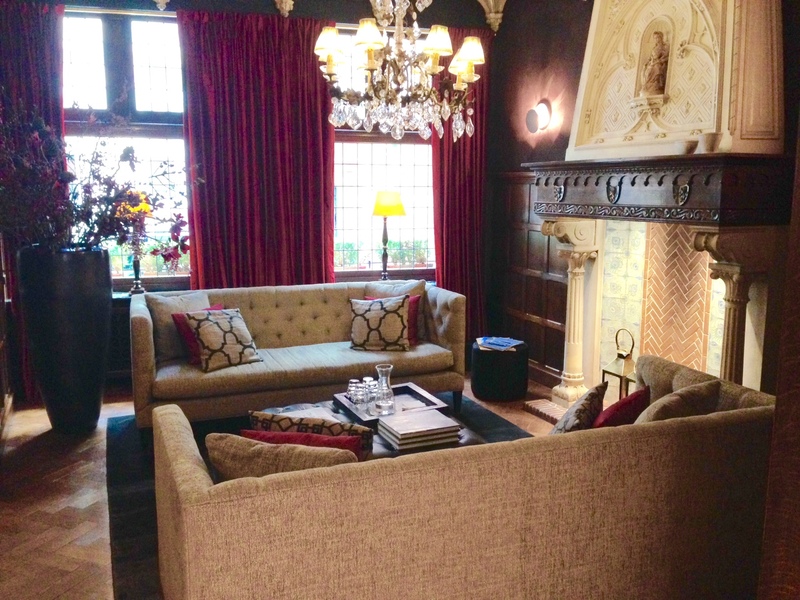 The lobby area is cozy and has this boutique style feeling, love it! Actually, it is all about coziness here! 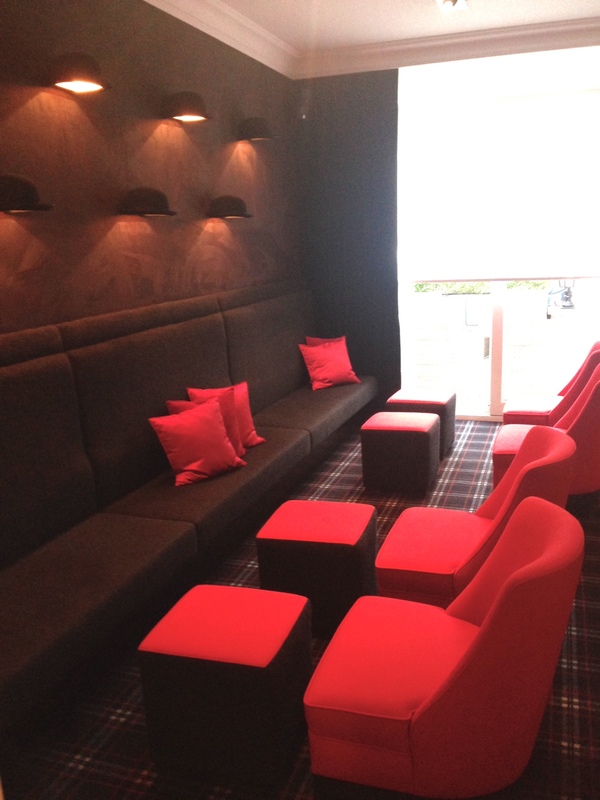 Near the lobby area, they recently opened a bar, The Bowler… A trendy lounge bar with cool drinks! 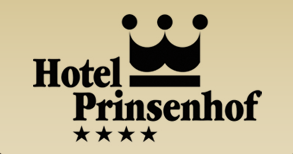 There are only 24 rooms at the Prinsenhof and they offer three categories of rooms: the classic rooms, superior rooms and deluxe rooms. 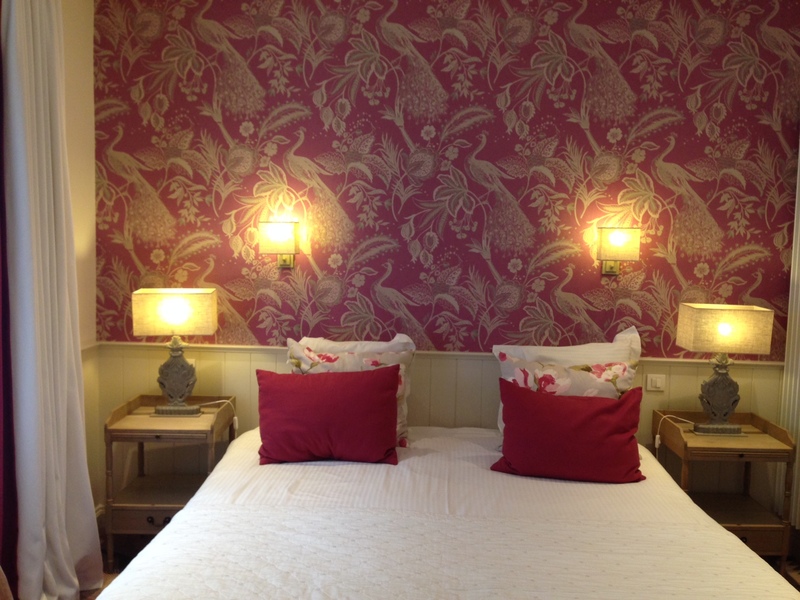 I visited several rooms and can honestly say that they are all wonderfully designed. The difference between the categories are the extra services they provide, such as a delicious fruit plate or bowl in the superior and deluxe rooms and a bottle of water in the deluxe rooms. 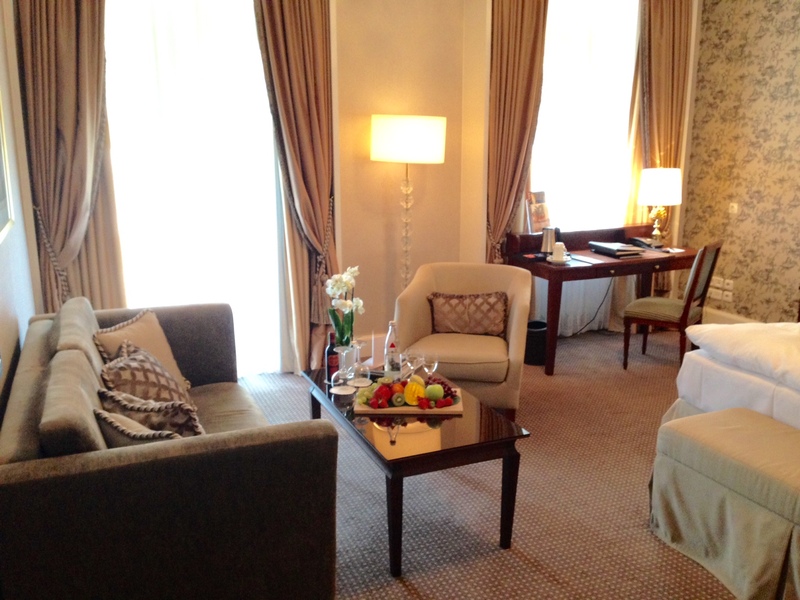 The room we stayed in (a deluxe room) was gorgeous! It had a soft king sized bed and a very comfortable sitting area with 2 of the most comfy couches I have ever experienced in any hotel! 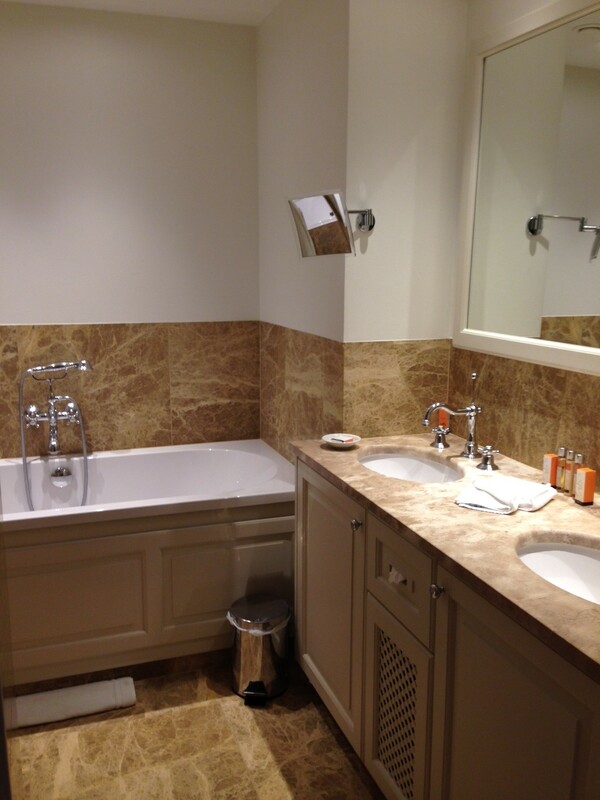 The large bathroom had double sink, a jacuzzi bath tub (all superior and deluxe rooms have jacuzzi bath tubs) and an oversized shower with rain head. Oh, and a separate toilet, always a bonus! Excellent coffee/tea/hot chocolate making facilities, by the way! I also liked the HD television and the heavenly soft bathrobes. I still had some work to do and needed to print out some documents. I just called the reception and they were friendly enough to bring up the paper work within just a few minutes. They really go out of their way for their clients, assuring that every client will enjoy their stay… For example, they offer turn down service which is pretty uncommon in a four star hotel. At night, we had dinner in a restaurant and the staff explained to us where we had to go… they immediately handed us a map with excellent directions. 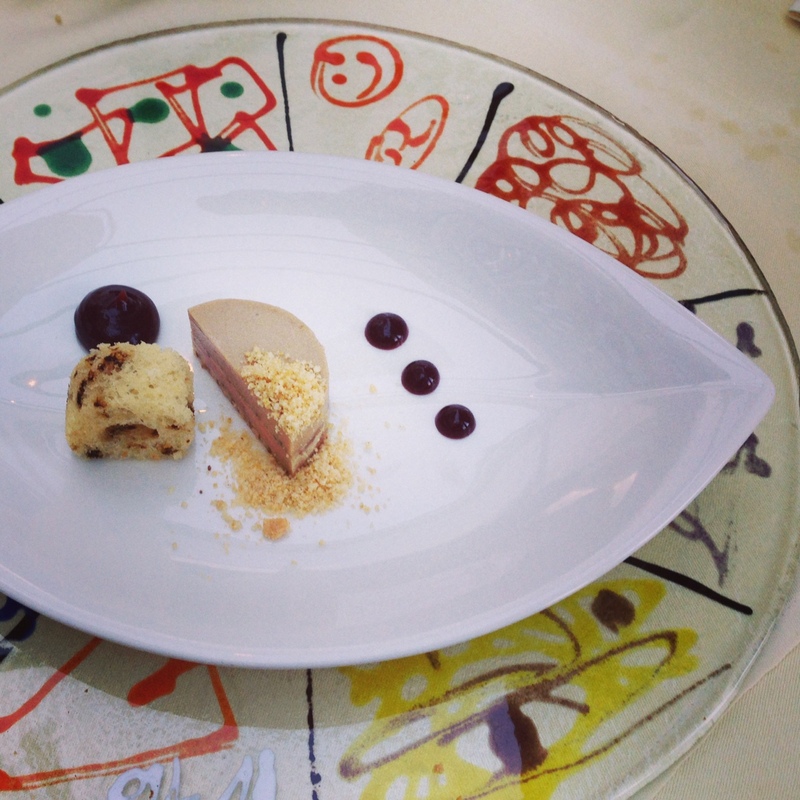 And although the service is high level, it is not over the top. 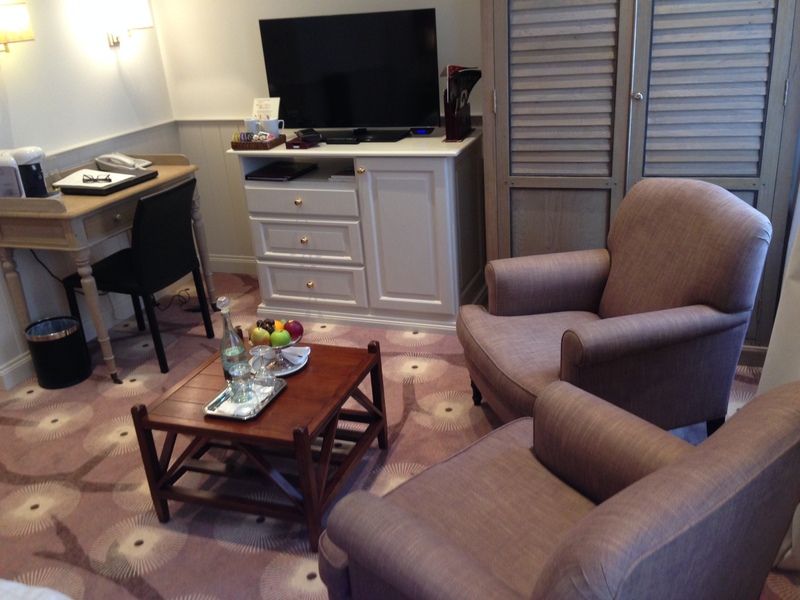 I felt pretty comfortable walking around in the hotel, it is not that guests/staff are acting pretty snobby here… there is a relaxing atmosphere throughout the hotel which is something I really appreciate! The next morning we had breakfast and priced at 19 EUR per person, this really is a bargain! The quality of the food at the buffet is fantastic! Plenty of fresh fruit, bread, etc. Fancy an egg? No problem, just ask the staff for the eggs you prefer and they will take care of it. There even was bread pudding and (of course!) some yummie Belgian chocolate. And not to forget: champagne! 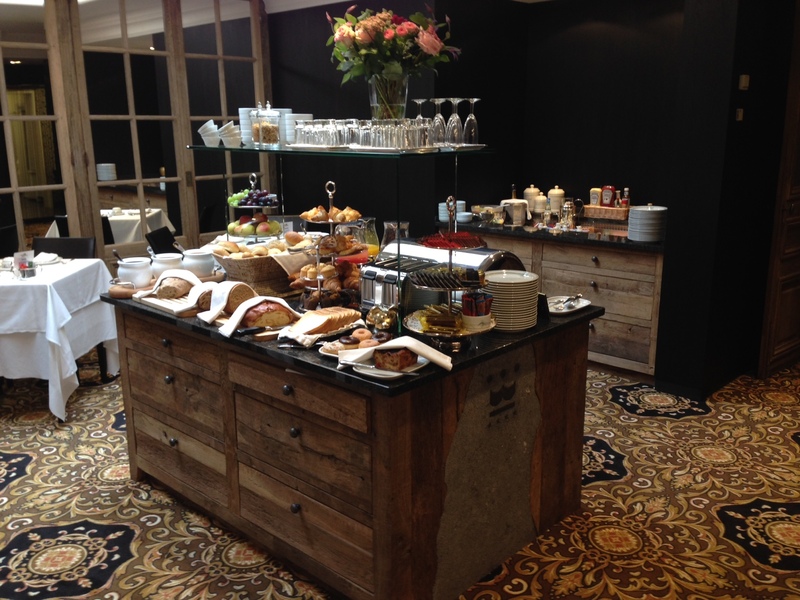 Honestly, I have been to many five star hotels with far less breakfasts than at the Prinsenhof! Again, service level was excellent, with a smile and very efficient. We were sad to leave the Prinsenhof, but were heading home with great memories. 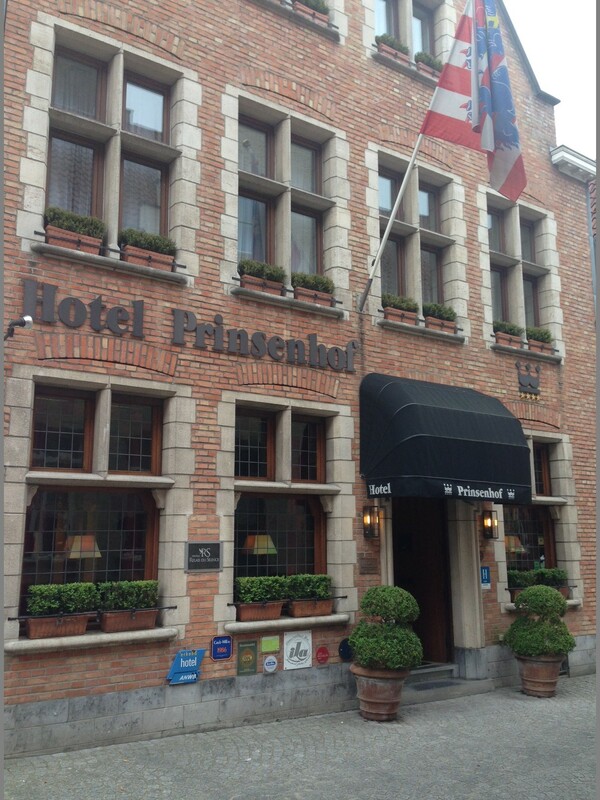 The Prinsenhof definitely deserves its high reputation as one of the best hotels in Bruges! Highly recommended!